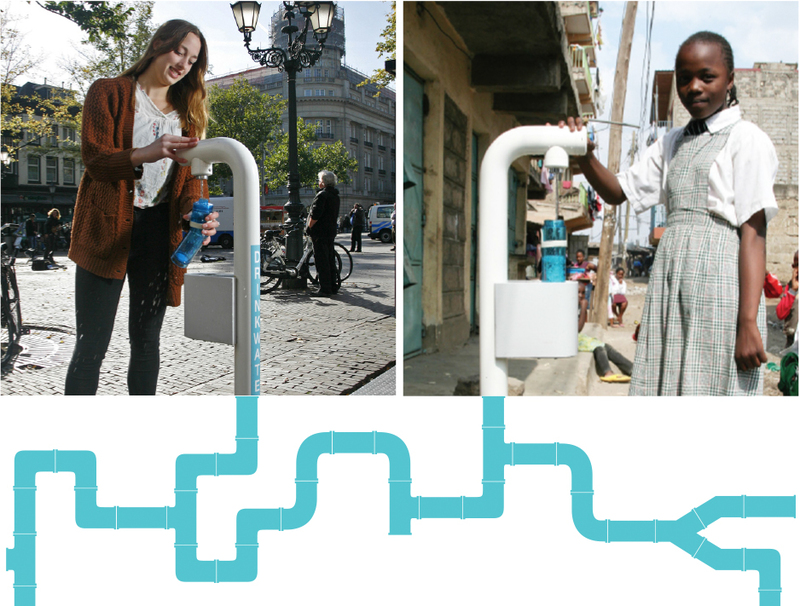 Free Water Stations around the World! Hello we are Join the Pipe, the first community of tap water drinkers. People joining from all over the world sharing the same dream of redistributing drinking water in a fairer way. TODAY @ Mixed Greens: Artist Proof Give Away! It’s the last week of “New Dominion” and I am giving away a signed, matted, mounted 8×10 artist proof to the first person to have a conversation in the gallery @ Mixed Greens today. Going, Going, Gone – The show closes this Friday July 17th. Interdisciplinary media artist John D. Freyer also thinks about interpersonal relationships. 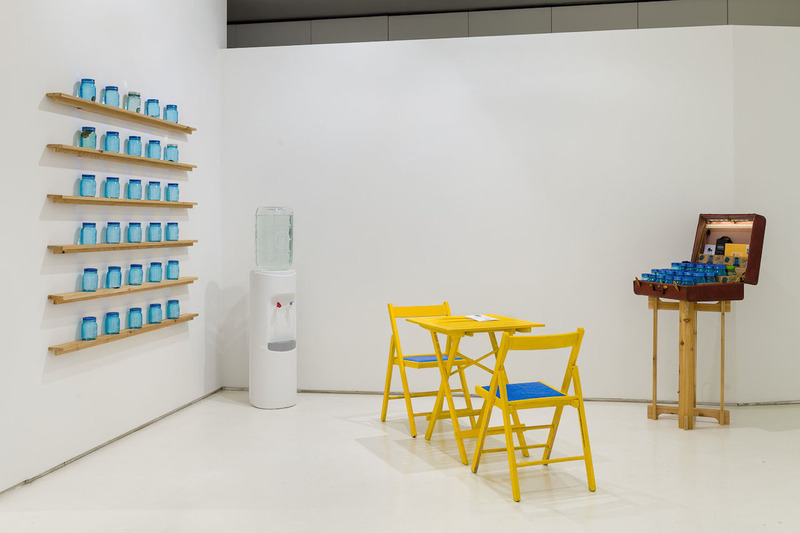 Freyer’s “Free Ice Water” (2015) is an ongoing seven-step participatory art project that invites gallery-goers to partake in one-on-one conversations during visits. Before beginning, participants are instructed to fill a mason jar (provided by the artist) to the brim with ice water (also provided by the artist). Upon conclusion of the conversation, both parties take a drink from the jar, refill it, and then seal the jar which is then displayed on a shelf in the gallery. Originally conceived as a method to discuss the often taboo subjects of addiction, mental health, and recovery, the project uses relational aesthetics as a means of centering human relationships. Within the context of this show, participants are encouraged per Freyer’s instruction booklet, to “have a real conversation” on any topic in order to generate intimate, vulnerable moments of introspection.